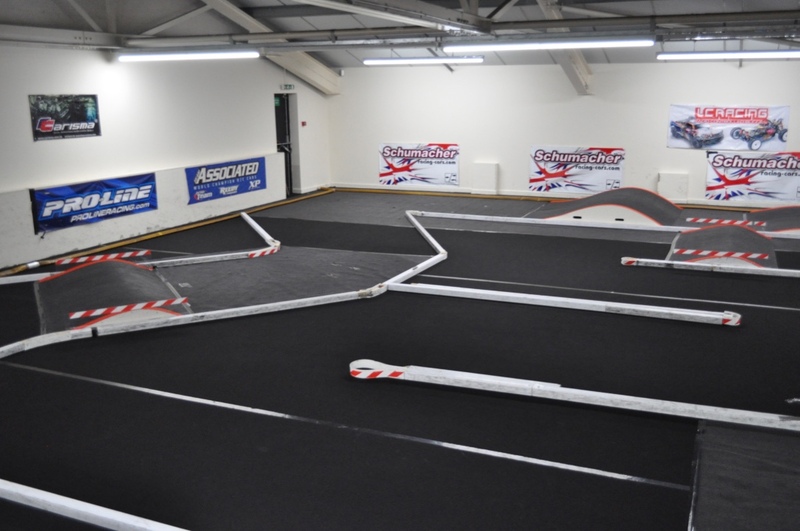 Midlands Raceway is a permanent, indoor, radio controlled car racing club based in the West Midlands, we race both on-road and off-road classes. The club has AMBrc lap counting which supports the use of personal transponders. We do not have hand outs but we do have a small number of transponders which we hire out for small fee. Opening times can change at anytime please check the Facebook group for live updates. 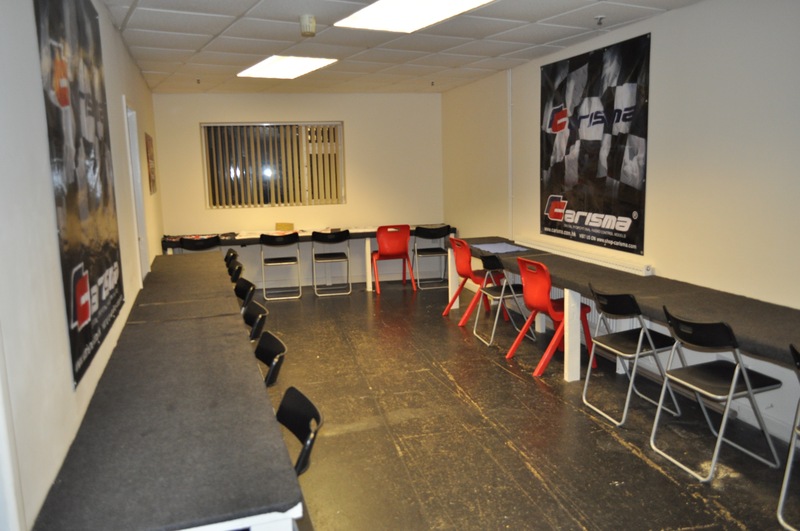 Anyone is welcome to race or practice, all drivers must have BRCA membership, The BRCA provides you with 3rd party liability insurance and is mandatory. 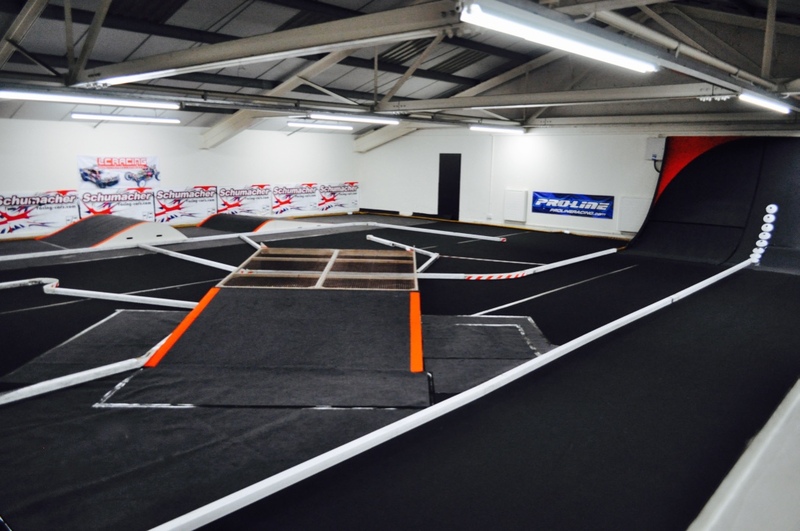 Off road track has EOS carpet with various wooden jumps, lumps, bumps and other unique features, including wall of death and cross over. Check out our gallery to get a closer look. 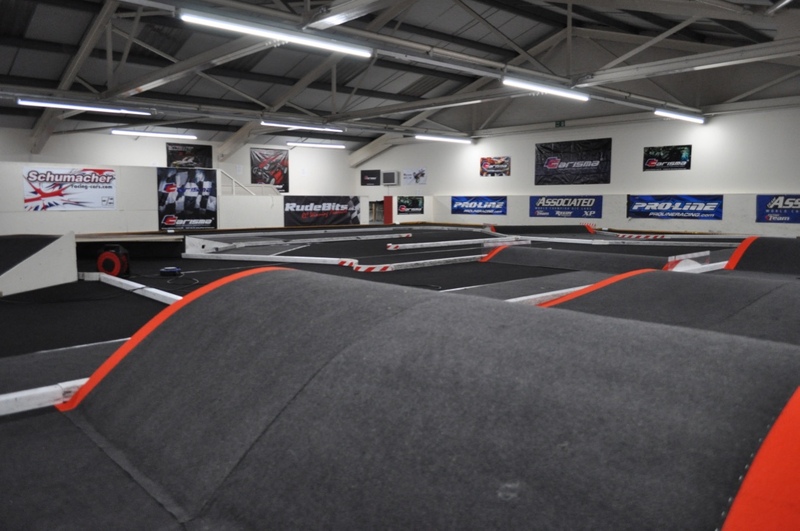 On road track has ETS carpet, which is perfectly flat, ideal for all on road classes, using a both square plastic downpipe and fire hosing as track markings to minimise any damage to cars. 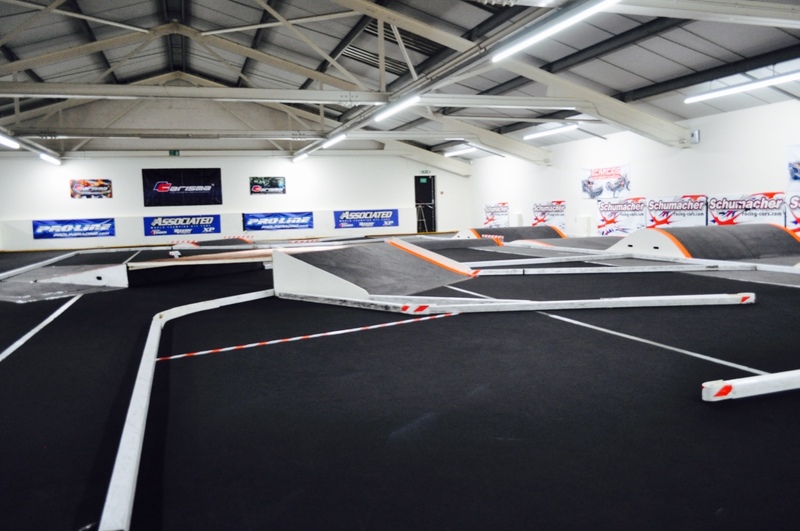 We regularly change the track layout and features, which allows for some very exciting and fun racing for all levels of racer. 1. Any tyres may be used on the off road track. Slick tyres must be used on the on road track . 2. Shock protectors must be used at all times on buggys. 3. All chassis screws should be tight and thread locked where necessary. Micro chassis must be taped to cover screws. 5. Please do not continue to drive your car around the track if it is clearly broken as it may cause damage to the carpet. 7. Under no circumstances will abuse towards marshall's be tolerated. Can't find what you're looking for? Don't hesitate to contact us. Fastest replies via our Facebook, click here. Or find our alternative ways of contacting us here. 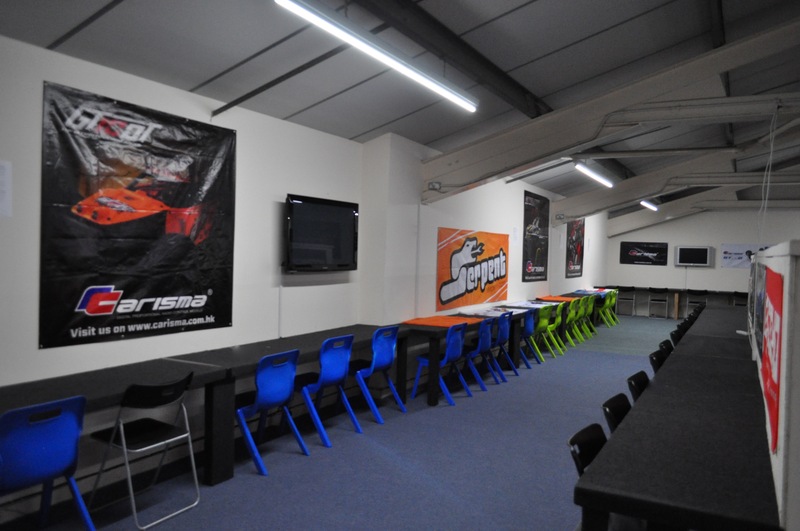 Tables, chairs and power are all provided at the venue. We sell a few snack and cold & hot drinks. Alternatively there are popular fast food restaurants local. Just a note on parking the small car park is shared so please park sensibly (no blocking people in or in front of any entrances).